Colorado High School Playoffs - Got Grit? Now is the temporal period during which everything everyone has been working toward since the start of the season bears fruit. From high school-to-college-to-adult leagues the effort and energy expended on a weekly basis all season long is on the line. All over our fine State of Colorado determinations will be made over an 80-minute interval as to who rocks and who knocks regarding the small white pill that all seek. High School Boys: tightest playoff picture? 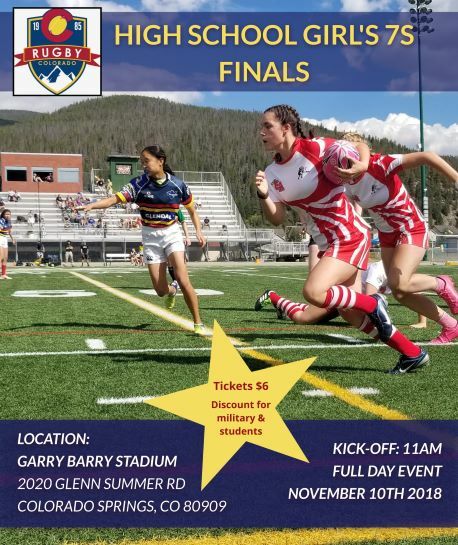 · 4th-seeded PAC Rugby are not to be discounted after their 27-22 takedown last week of Aurora Saracens in the quarterfinal round. PAC, last year’s Division-2 champions promoted to the big time this season, are big and bold and well-instructed. The Front Range amalgam (Platte Valley, Evergreen and Conifer), appeared as yet-evolving in their losses to East and the Springs in league play, but woe to the squad that takes these Mountain Men lightly, for if nothing else, expect them to have learned well lessons from their losses to seeds numbers one and two, and Coach Hugh Miller’s 1st XV will be aptly and comprehensively well-prepared with countermeasures on the day, Saturday… THE RUGBY DAY! Division-2 semis will feature: Fort Collins v Highlands Ranch at 10 am and Grand Junction v Titans Rugby at 11:30 in the same location, ASP.